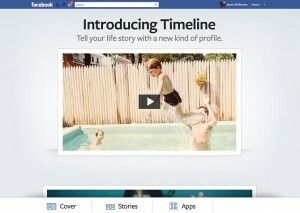 Your Facebook business page will automatically convert to the new Timeline format on March 30th. Area you ready? Remember You have a chance to preview your page first, made all the edits you wish, get it just the way you want it, then publish. Look for the preview option at the top of your page in the old design. Before you publish, at minimum just have an attractive cover image loaded. A few important points you should know before publishing your new Timeline page. First. Facebook Timeline’s new format includes a large cover photo. And there are rules. So those are the rules. Now let’s have some fun. Take advantage of the cover image. It is large (851 x 315 pixels) and can say a 1000 words! It is the first thing visitors will see and is a big chuck of real estate. Show your personality, be creative, have fun, grab their attention! And remember you can change this photo anytime. On the other hand your profile photo, the small square image displayed at 125 x 125 pixels, that sits in the bottom left hand corner of your cover image, is the primary, instantly-recognizable image that tracks you throughout Facebook wherever your posts go and wherever you comment as your Page – and probably shouldn’t be changed. Good news. Each app has its own URL so you can drive traffic to any “landing” page you wish – from within Facebook or from outside Facebook – from website/blog, social profiles, tweets, email campaigns, email signature files, etc. etc. etc. There is lots of talk about Facebook’s new Timeline. As usual there are those that will love it (a nostalgic trip back in time )and those that will hate it (a bit terrifying to see posts from the early days ). But there is no sense holding out — Timeline will eventually go live for everyone so you might as well jump right in and set it up as you want it to be seen. Contact MarkedSpot Designs for help creating your personal or business Facebook page. “It’s word of mouth– amplified”. 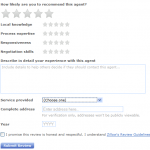 Ask your clients to post a review online. Two great places to start are Yelp and Zillow. Both sites will require your client to have an account, but it only takes a few minutes. 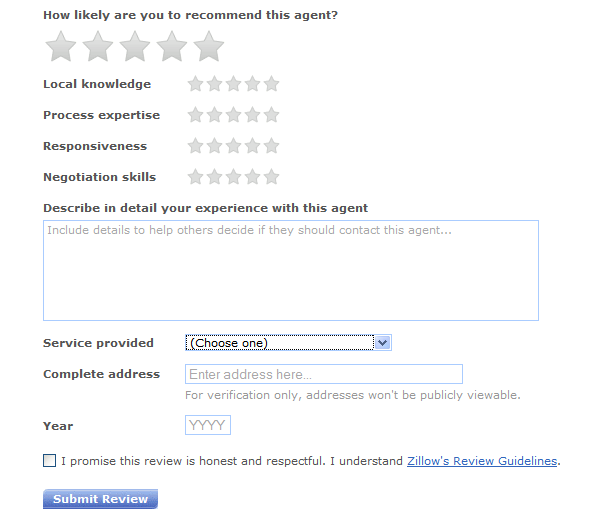 Clients can review your profile on Zillow by going to http://www.zillow.com/directory/real-estate-agents, searching for your name and clicking on Review. For Yelp, they can go to the homepage http://www.yelp.com and enter your name in the search field. Of course, if you don’t have an account your clients won’t be able to find you. 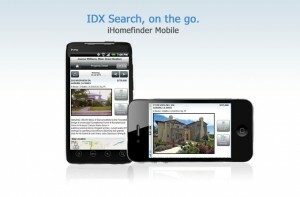 You can now offer your clients and web site visitors the ability to take their home search on the road. Contact us now to set this up for your website! 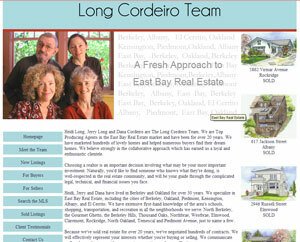 East Bay Real Estate Team Heidi Long and Dana Cordeiro, Top Producing agents in the East Bay along with Jerry Long and Emma Morris, the www.LongCordeiroTeam.com. The clients wanted to start out the year with a fresh new look for the team website, with a Fresh Approach to East Bay Real Estate, that included a blog with great information about East Bay Neighborhoods, the East Bay Real Estate Market and some fun topics on “What’s for Dinner” and “Out on the Town”. Interesting news and definitely something to keep an eye on. Google made an interesting move by rolling out individual “place pages” for every property that’s listed in Google Maps. A unique page for every listing that includes photos, a map (including Street View) property details, directions, transit information and more – basically, it’s a listing detail page. 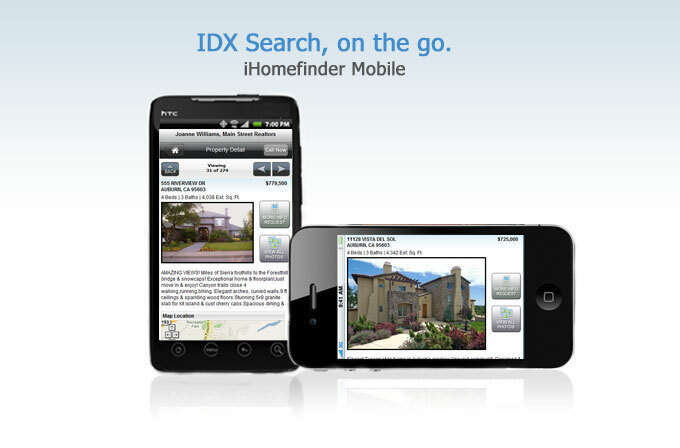 IDX Property Search and Lead Capture from iHomefinder on Vimeo. All I can say is Thank you Google for finally making it official. I am by no means a pro at SEO but I do my best to stay on top of what can help and what can hurt your search engine rankings. And I can’t tell you how many times while discussing on-site SEO that I will hear “but I have all of the keywords in the meta tag” why isn’t it working? !” I wish it were that easy. But don’t get this wrong. This is not the key WORDS in the content – As I have been saying all along ..
Keywords don’t need to be used in your meta tags, but they need to be used in your content, title and header tags. Read more about how “Google doesn’t use the “keywords” meta tag in our web search ranking” on the “Official Google Webmaster Blog” (can’t get more official than that). Is Social Media a Fad? Or…. 87% of all home buyers, and 94% of buyers aged 25 to 44, used the internet to search for homes. For 1/3 of home buyers, the first step in the home buying process is looking online for properties. The typical home buyer searches for 10 weeks, and views 10 properties. 90% of sellers report their home was listed or advertised on the internet.